Have you ever looked at those amazing lifestyle setups in magazines and adverts and wished you could get a look like that? They always look so perfect and brilliantly put together. I appreciate that, after 10 minutes with the children they won’t always look like that, but wouldn’t it be lovely to be able to create a room that looked professionally styled? Well DFS gave me a wonderful opportunity to have a go at doing just that. 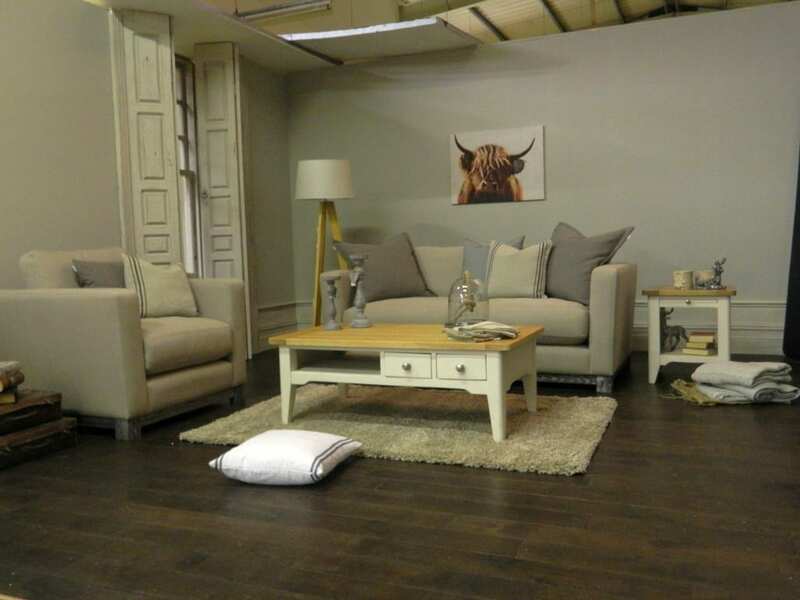 I was invited along to their studios in Macclesfield to try my hand at styling my own set using the wonderful sofa range from French Connection. 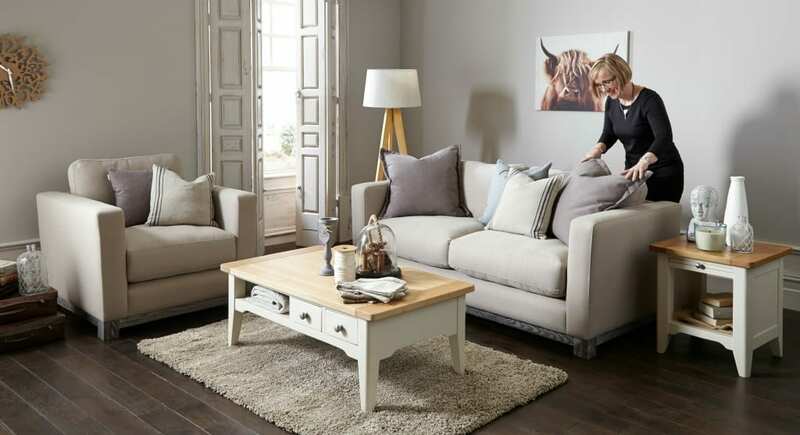 The ‘French Connection Sofas excusively for DFS’ collection is fresh and contemporary and consists of four ranges: Chalk, Coast, Slate and Flint. The colour scheme of all the sofas is muted, cool and calm and I was excited to see how this was all going to work. The general idea was to add the vintage suitcases, lots of throws and texture with a few woodland creature cushions. The wood from the lamps, candlesticks and clock would add extra depth of colour. 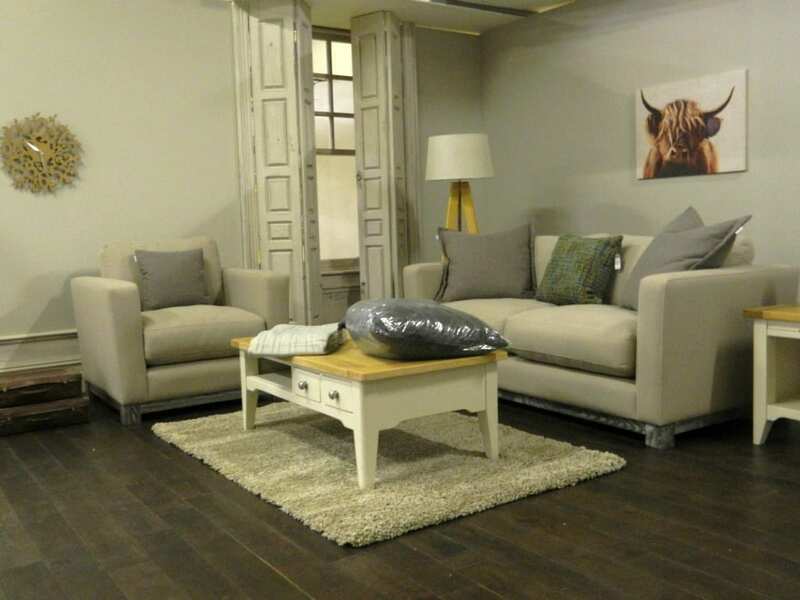 The coffee table and side table were provided by DFS too from their range. 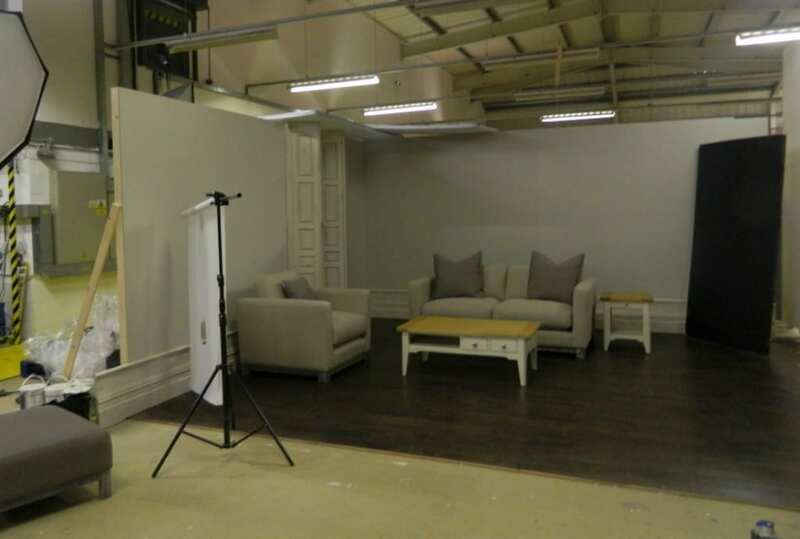 Along with 3 other Interior bloggers including Antonia from Tidy Away Today, I arrived at the DFS location to be greeted by the photographer and professional stylist and the beginnings of my set. The process is fascinating. Of course the set is built and created in a warehouse like building and the furniture is arranged within a crop. What became apparent early on, is how the pieces are positioned, not so they look good necessarily to the eye, but so they look good on camera of course. As it transpired some of the props weren’t available we had to think on our feet and raid the DFS props room (I really could have spent a lot more time in there!) and come up with something a little different to my original plans. It really didn’t matter though because it was great seeing the stylist, Anna at work and watching how the set came together. You can see from the initial images that we started by putting in the lighting, and the wall art. I do love that bison! And the vintage suitcases went in early on too. Once the main pieces were in and the photographer was happy with the positioning we could add the accessories and really bring the room to life. Maintaining the idea of keeping it calm and neutral we didn’t add any extra colours but worked on the tones and added lots of texture. If things didn’t work we threw them out and tried something else. I was thrilled with the final look, even though it was a development from the original moodboard, I’m happy that I stuck to my design ‘words’ and still created a set that was neutral, cosy, calm, full of texture and wonderfully modern. I was really impressed with the French Connection sofas I used in my set. 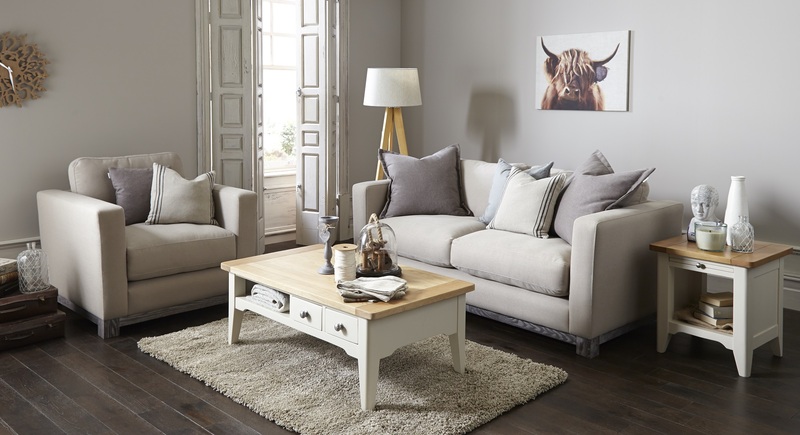 Each piece is handmade in Derbyshire by DFS who have a 44 year history of hand-making sofas and comes with a 10 year guarantee. And if you order by the middle of November you get guaranteed Christmas delivery too. 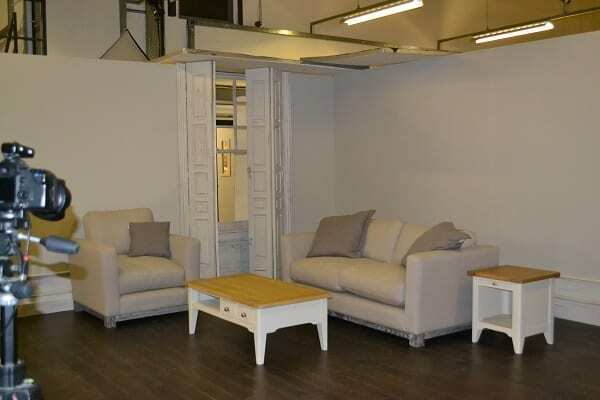 I thought the prices were really reasonable too with the Flint 2 seater sofa coming in at under £1000. If you want to check out more of the French Connection at DFS range you can do so here. Thank you to DFS for looking after me so well on my trip to Macclesfield and for providing such a fun day out! 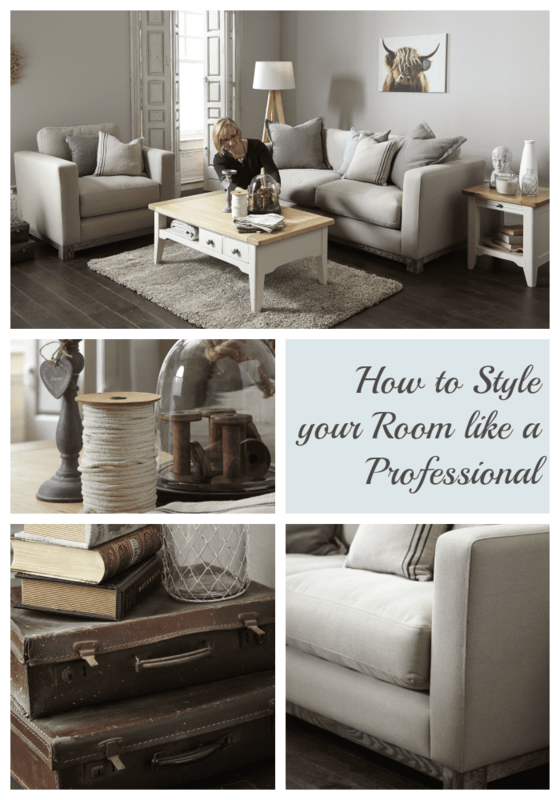 Previous Post Style over Substance: Is your Home Comfortable? Wow, I really love the way you styled this. I am really feeling this classy but cosy neutral tone look at the moment so this is really up my street. What an amazing opportunity to put something together, I bet you had a ball. Ah thanks Jenni. Yes it was a great day out and such a fabulous opportunity. A real experience! What a great way to see, from the other side, how these rooms are put together! I can’t let you get away with calling the highland cow a bison though!! I love your mood board and the final look! It’s lovely to see how these gorgeous images are put together! This is beautiful. Please, please, please can you tell me the wall paint colour, it is gorgeous?